How to move a barn from point A to B with little more than bodies and hands? A gathering of Amish people recently showed how in the Geauga County community. 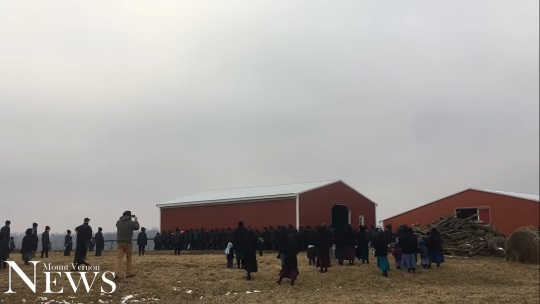 If you look at the video I think it’s actually fewer than that physically lifting the barn, with a number of others observing (maybe having helped with related tasks, or just there to cheer the lifters-and-carriers on, so to speak). The job was done in less than five minutes. Now this is a pole barn and not a timber frame barn, so it’s a relatively lightweight structure. Still not something you’d want to drop on your toes. No doubt this took some coordination. It’s not the first time Amish have moved structures by this method. Here are videos of similar barn moves in Wisconsin and New York. 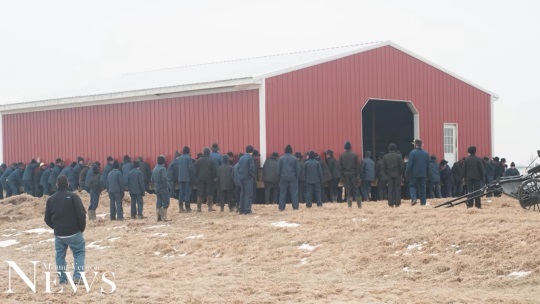 A more difficult move was pulled off by Amish in Iowa, who segmented a turkey barn into four sections, and moved each one-by-one. That was a four-hour job. Some Amish build skid houses, for that matter, which are designed to be moved. I do wonder why the barn needed to be moved. Did the owner simply change his mind as to where he preferred it to sit? Or maybe there was a new building project on the property which required its relocation. I seen this before and it was amazing how they moved the barn with just so many hands. With all the modern technology, we often forget that there might be a simple solution. And, look how many were able to have that feeling of helping another in need. I just love the way the Amish help each other. 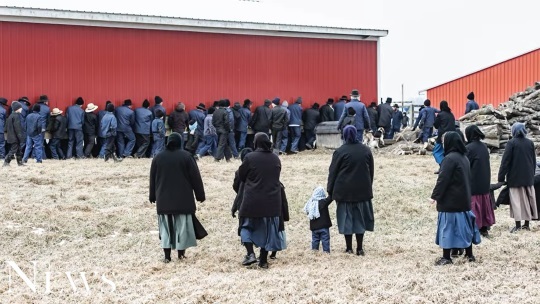 It is not just in their community….some years ago the Amish came and help build a barn on my father-in-laws in Delaware. BTW, there is a new Quaker saying: Love Thy Neighbor, No Exceptions! It is so amazing how so many can work together to accomplish the same goal. Alot to be learned from the Amish community.